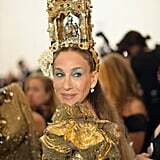 While style queen Sarah Jessica Parker skipped last year's Met Gala, she did not hold back this year. 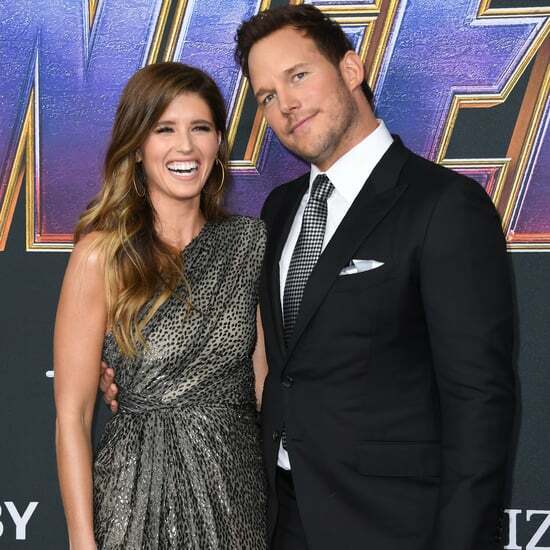 The Divorce actress took us to church — rather, the cathedral. 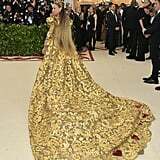 She turned heads in an ornate, gold brocade and red-heart-printed Dolce & Gabbana Alta Moda gown. The gown alone would make you stop and stare, but she didn't quit there. 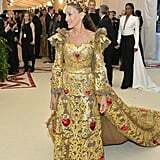 SJP amplified the look with a long matching train, a larger-than-life altar-inspired crown, and decadent jewels courtesy of Fred Leighton and Jennifer Fisher. 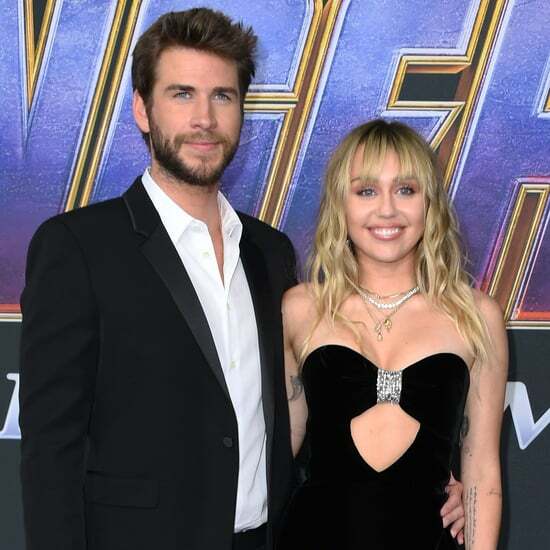 The only thing more eye-catching than the dress itself? 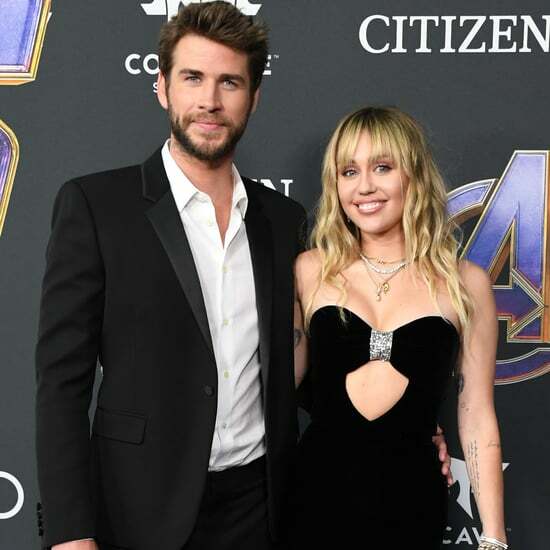 Her date: Bravo's Andy Cohen, who wore a matching gold Dolce & Gabbana cape and loafers. Her gown begs to be admired from every angle. From the front, it boasts dramatic ruffled shoulder details and a knight-in-shining-armour-inspired bodice. From the back, the matching gold-and-heart-emblazoned train is simply jawdropping. 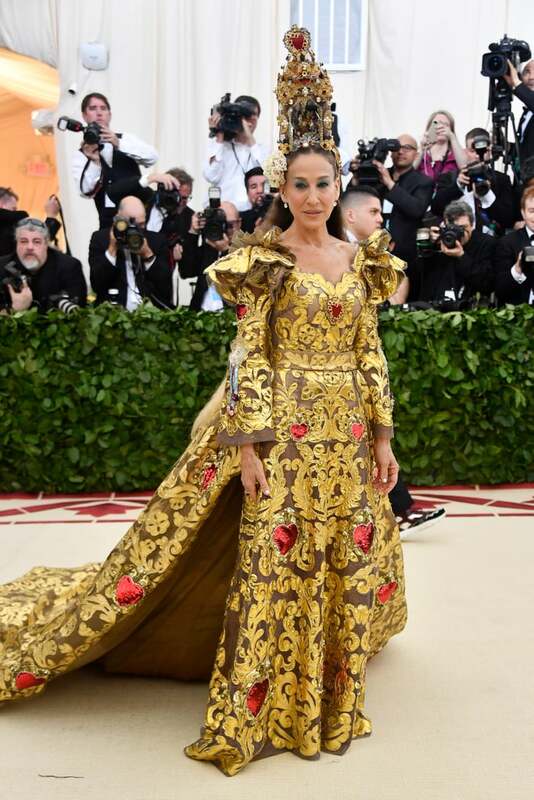 We're so glad SJP didn't skip this year's gala — take a closer look at her "Heavenly Bodies" gown now.